Mandarin House invites you to celebrate the Dragon Boat Festival, and join the Dragon Boat Festival 1-day Trip to Suzhou on Monday 2014.06.02! Mandarin House was one of the first, private Mandarin schools established in China. Our mission was to provide Mandarin students with a school that offered flexible courses and study options that would have you mastering Mandarin in the shortest, most effective way. After 10 years of teaching Chinese, Mandarin House has helped over 20,000 students from all over the world achieve their language learning goals. We have changed student’s futures by helping them become proficient in Mandarin and opening up a vast world of business and social opportunities. 2014 is our tenth year of Mandarin teaching. Our mission remains the same; we want to ensure you learn Mandarin on your terms, quickly and efficiently. Click on the links below to find out more about why Mandarin House’s 10 years of teaching experience, make us the right school for you. Mandarin House invites you to celebrate the Dragon Boat Festival, and join the Dragon Boat Festival 1-day Trip to Suzhou on Monday 2014.06.02. Seats limited, book your place 400-633-5538. Mandarin House Daily Mandarin APP, a tool that you can use on the go, designed to enable people to quickly and easily learn and speak Mandarin. Install Mandarin House APP for FREE! Mandarin House invites you to celebrate our 10th Anniversary. Join the Sheshan Chinese Blossom Discovery Trip! Include transportation, entrance, activities and interactive event like bamboo knitting. In 2014 Mandarin House will be celebrating our tenth year of teaching Chinese. To welcome in this historic year and to provide our students, staff and friends with an opportunity to celebrate Chinese New Year. To celebrate the year and to start off the festivities we wanted to create a 10th Anniversary logo that would be used on our promotional materials in 2014. The Mandarin House Corporate Partners of the Year Award recognizes corporations that have demonstrated extraordinary generosity in support of their expatriate employees to learn Mandarin. The Mandarin House Student of the Year Awards aim to promote Chinese language learning and showcase the achievements of students in Mandarin House. The Awards are presented at the 10th Anniversary Gala Dinner. Mandarin House opens our first Chinese school in Shanghai. 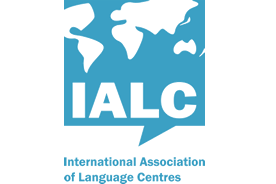 One of the first private language institutes in China we quickly decided to become a part of the International Association of Language Centres.